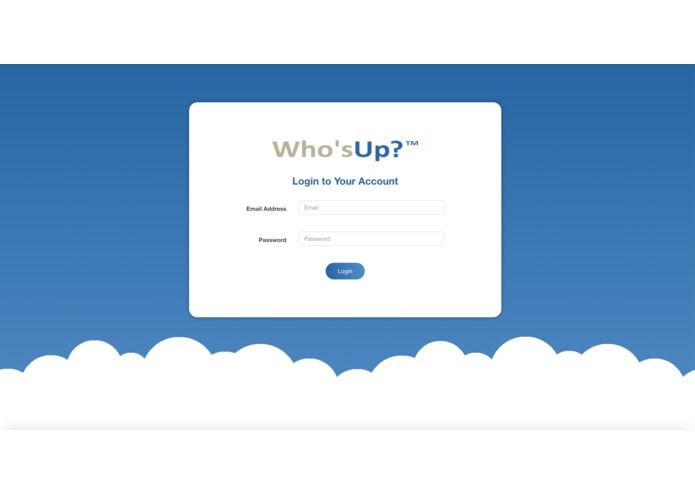 Sales Staff at Dealerships will never need to ask "Who's Up?" because we track it real-time on the sales floor. 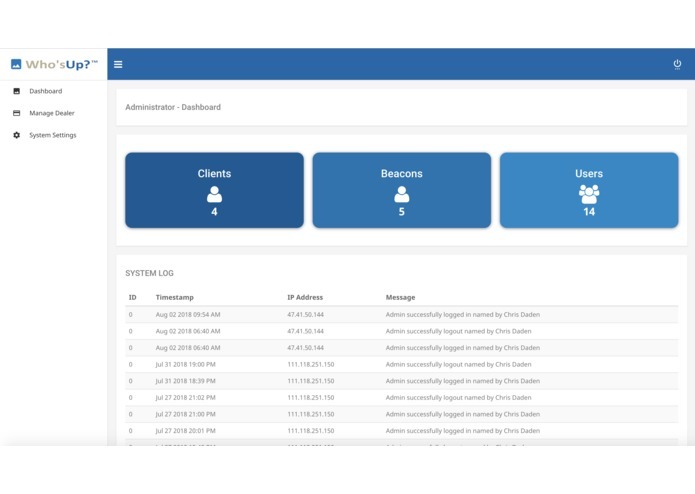 The login for the Web Based Dashboard for Dealerships and System Administrators to configure sales staff, settings, and view reports. After logging into the dashboard, we have a reporting area for key statistics as well as a system security log. Web based beacon management where dealerships can add or remove beacon ID's from their sales floor, as well as special location names. Our multi-tenant App Cloud process requires the Dealership to provide a Registration Token (key) to a sales staff member to register. Our solution is for Automotive and Powersports Dealerships. After surveying a group of dealerships about retention solutions, the questions and answers session turned toward the sales process and what are known as Walk-Ups or for short, “Ups”. What became obvious to the group was the method in which Ups are handled had not changed in 30 years. The close ratios varied wildly and the operations issues with management of the Ups and related information was very loose and manual in nature. Close ratios were impossible to gauge due to the inherent bias of the sales management to not look bad. According to industry studies, Walk-Ups, account for 25-50% of vehicle purchases. The wide close ratio range is closely tied to the equitable and efficient management of the sales persons on the dealership floor. Today, as standard practice, dealerships use a “manual paper based round robin” method of rotating the sales persons with Ups or verbal agreement among the team. After becoming aware of these issues we set out to create a automated software solution for the PowerSports & Automotive Industries during this hackathon. Salespersons bickering over Who is Up next in the rotation. No way to invalidate an Up to the team. Lead collection and close ratios skewed (Sales Reps do not want to expose lost ups, so they do not track or report them accurately) nor does Sales Management want to disclose them. No automated way to notify when a sales person is up. The manual hunt for them around the dealership or cell phone call is currently used to locate them. Sales Persons who are Up, tend to wander from the showroom entry. Thereby missing active prospects or giving the dealership the appearance that “no one is there to greet them”. No way to group message or streamline communication to sales staff. After learning the Up workflow manual processes, we created an App in combination with Beacon technologies that works in concert with a cloud-based administration, tracking and data collection repository for displaying metrics and visualization of Ups activity and close rates. A digital round robin queue was created and actionable in the App for equitable and efficient management of the sales persons on the dealership floor. 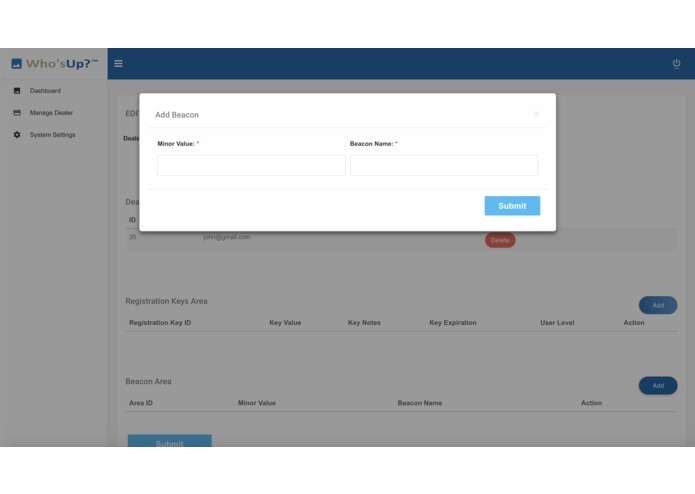 Built in or variable configurable overrides for Sales Management for one-time or exception events such as re-ordering the queue, deleting queue entries or providing status of an active queue member. Also included is a notification system that alerts the SalesRep when they are Up or if they have wandered out of the designated customer reception area and informs Sales Management. Group messaging and or selected individuals can be messaged at the discretion of Sales Management or with any individuals within the team. 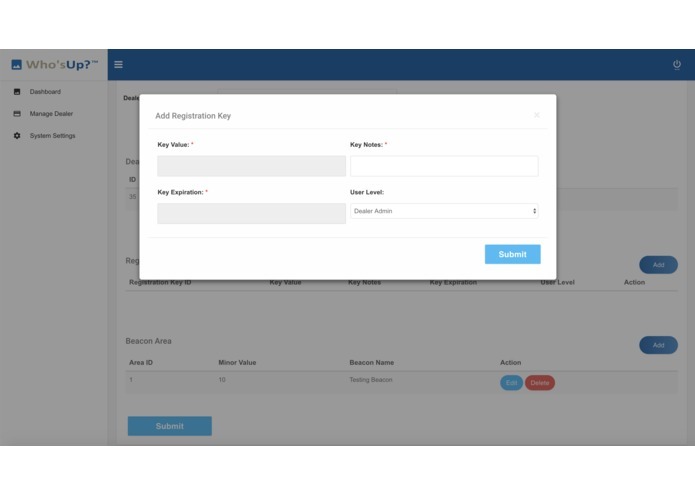 If first time SalesRep user, system prompts for Name, phone number, and once match up with configured cloud entry, they are assigned to the Team and prompted. The App shows each team member Who’s Up? who is “on-Deck” and who is on “Double Deck” as well as the entire Up list and ordering. Once a customer approaches the dealership, the then current Up SalesRep engages with that prospect. If the prospect is a legitimate interested buyer, they tap the Accept Up button and they are removed from the number one Up slot and moved to bottom of queue. 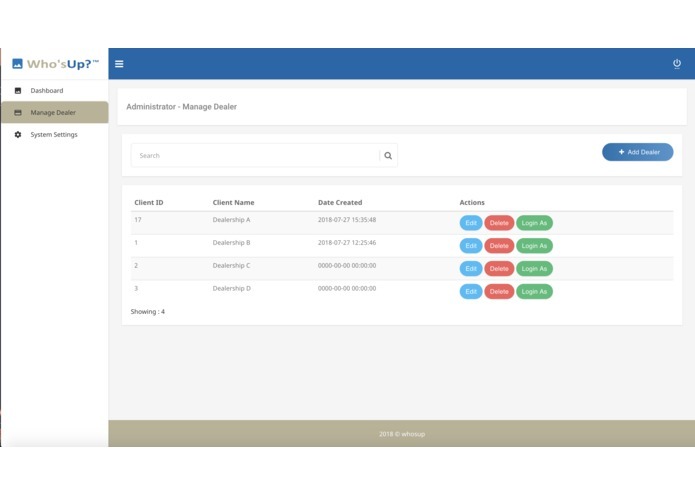 There are also other options to choose that are configurable in the cloud by the Admin or Sales Management. For example, customer is looking for Parts or the Service Department. By selecting another option, the then current Sales Rep remains in the Up first position until a valid Up is Accepted. Also created is an automated way to notify when a sales person is up. 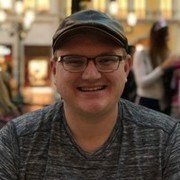 What's next for Who's Up? We are so proud of our creation at this hackathon that no matter the result, we are going to pursue this product whole-heartedly. There is no doubt that we are solving a well-known industry problem and we have received feedback over the course of the TechCrunch hackathon that Automotive & PowerSports Dealerships are willing to sign up for a premium subscription to solve this problem in their dealerships. 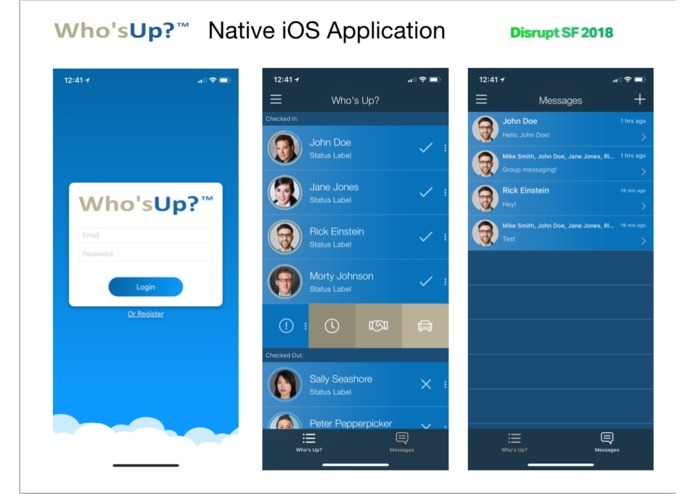 Thank you TechCrunch Disrupt SF & Judges - our team has had a blast creating this product during your Hackathon and we are excited to keep pressing forward with this product. Passionate Entrepreneur solving problems with Technology. Ideate, Create, Automate, Repeat.